Thursday, March 24: Rockford at Lake Erie, 6 p.m.
Friday, March 25: Rockford at Lake Erie, 6 p.m. The Rockford IceHogs rebounded from a pair of losses to the Charlotte Checkers in Week 23 by taking two wins over their Central Division opponent at home in Week 24. The contests with Charlotte bookended a home-and-home series with the Chicago Wolves in which the IceHogs took a regulation loss on Friday before earning a point in an overtime defeat at the BMO Harris Bank Center on Saturday. Mark McNeill continued to shine as the IceHogs leading goal scorer as he bumped his season total up to 21 in Week 24. The centerman scored the only goal in Tuesday’s game to give the IceHogs a 1-0 win over the Charlotte Checkers and kept Rockford in the contest against the Wolves on Saturday with a game-tying third period tally. Both of his goals in Week 24 came on the power play, giving him sole possession of the team-lead at six. Thursday, March 24 at Lake Erie Monsters: Game starts at 6 p.m. Rockford kicks off the first contest of a three-game road swing when they visit the Lake Erie Monsters. The IceHogs have won each of their four home games against the Monsters this season, but have gone 0-1-1-0 at Lake Erie. Friday, March 25 at Lake Erie Monsters: Contest begins at 6 p.m. The IceHogs wrap up a back-to-back matchup with the Mosnters in the final meeting between the two Central Division squads this season. Catch every IceHogs game, home and road, in 2015-16 on WIFR’s “Justice Network” on 23.3. The games can also be viewed on Comcast Cable channel 434, Charter Cable channel 194 or Mediacom 102 in the Rockford market and online through AHLLive.com. Every broadcast on WIFR will start with “IceHogs Warm Up” 30 minutes prior to puck drop. Fans can also listen to the action for free at WXRX.com. For a complete listing of TV stations carrying IceHogs games, visit IceHogs.com. Tickets On Sale for 2015-2016! 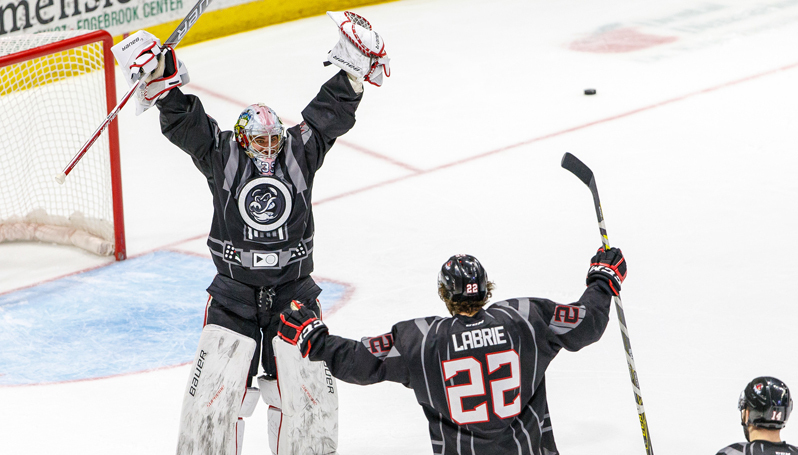 IceHogs individual game tickets are now on sale! Call (815) 968-5222 to reserve your seats for any IceHogs regular season game during the 2015-16 season. Tickets can also be purchased online, in person at the BMO Harris Bank Center Box Office in downtown Rockford, or any Ticketmaster outlet, including Walmart.